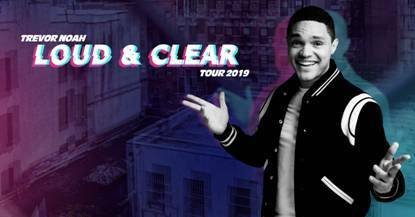 Comedian Trevor Noah, host of the Emmy and Peabody Award-winning The Daily Show on Comedy Central, will bring his first ever arena tour, the Loud & Clear Tour 2019, to the North Charleston Coliseum on Saturday, March 23rd at 8 pm. Noah first joined The Daily Show with Jon Stewart in 2014 as a contributor and shortly thereafter was tabbed to replace Stewart. Born in South Africa during the end of apartheid, he often shares incisive social and political commentary on his The Daily Show platform and through his various stand-up specials and writing. In 2016, Trevor released his first book Born a Crime: Stories from a South African Childhood, which became an instant New York Times bestseller. The book also received two NAACP Image Awards, one for Outstanding Literary Work by a Debut Author and another for Outstanding Literary Work in the Biography/Auto-Biography category. Tickets for Noah's show at the Coliseum go on sale Friday, October 19th at 10 am. 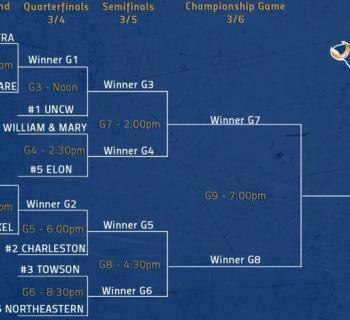 You can purchase them here, at the Coliseum Advance Ticket Office, Ticketmaster outlets, or by phone at 1-800-745-3000.